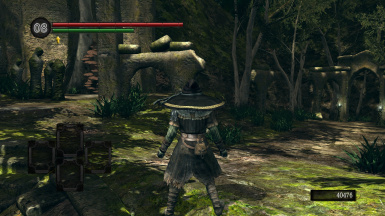 Various changes to the HUD, most notably a darker ring around the humanity numbers. Other features include a blue lock-on icon and modified health/stamina bars. Note: Version 3 screenshots are taken with my SweetFX preset enabled. 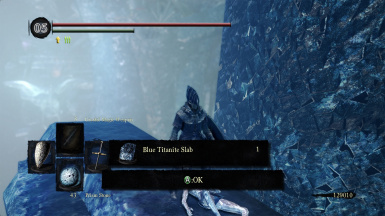 You can download it from the files section of this mod. 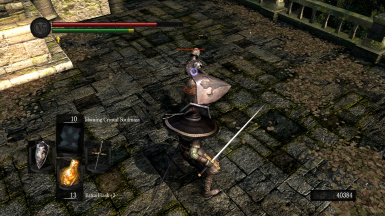 Added another version with demon's souls style hp/stamina bars, changed enemy health bars and the boss health bar. 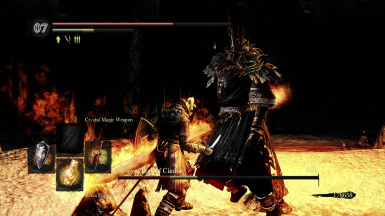 If you have any suggestions/criticisms I'd be glad to hear them, leave a comment on this mod page or add me on steam. 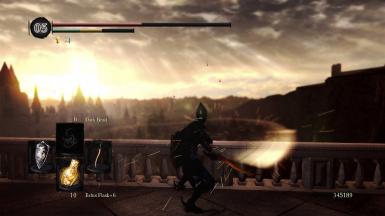 An alternative HUD featuring a darker humanity ring, changed humanity counter numbers, a blue targeting reticle, cleaner health/stamina bars and changes to the lower left equipment display. 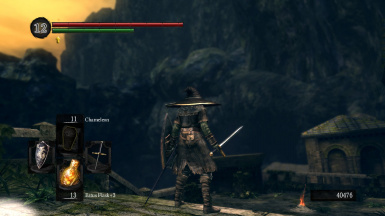 My status buff icons (used in screenshots) - http://www.nexusmods.com/darksouls/mods/813/? 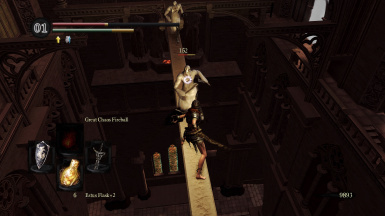 Dark Souls PTD SweetFX 1-5-1 Profiles - http://www.nexusmods.com/darksouls/mods/688/? 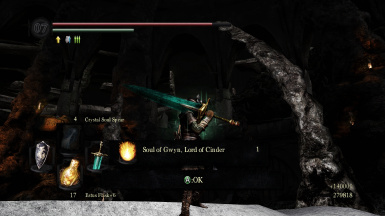 HD Player Messages - http://www.nexusmods.com/darksouls/mods/389/? 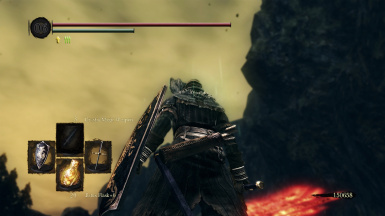 DaS1 - Demons Souls Styled Messages - http://www.nexusmods.com/darksouls/mods/42/? 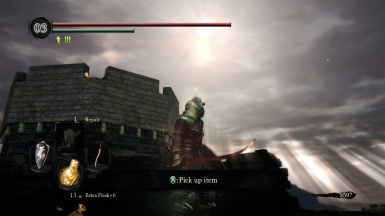 SilverUI (incompatible with this mod) - http://www.nexusmods.com/darksouls/mods/118/? 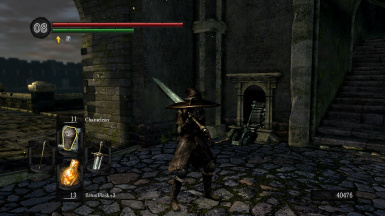 Complete High-Resolution Font Replacement (used in screenshots) - http://www.nexusmods.com/darksouls/mods/22/? 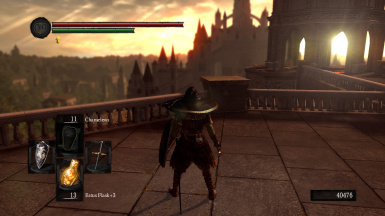 Classic moonlight greatsword (used in screenshots) - http://www.nexusmods.com/darksouls/mods/443/? in your dsfix.ini. Contact me through steam if you have any problems/questions/suggestions.